Hi, my name is KD James and I signed up to guest post so I could get frisked by Joe and Barry. Apparently, I misunderstood. Damn it. So instead, I decided to inject a wee bit of levity and some much needed brevity over here. I'm going to tell you a story. No, not fiction, this is a true story. Mostly. Relax, I've got this. It's what I do. When I first started reading fiction for pleasure, voraciously, I was hooked on spy novels. Before that, the fiction I'd read was mostly for school. So my experience was that most writers were either dead or men. Usually both. Not that I'd really thought about it, but I wouldn't have said "writer" was something a person could be, or that writing fiction was an actual career choice. I was . . . so young. Then I discovered romance novels. Oh, all that delicious emotion. I couldn't get enough of those either -- what can I say, I love to read -- and eventually decided to try to write one. A historical romance novel. With pirates! I mentioned this to a journalist friend and, being a professional writer, instead of laughing she gave me a list of resources that included Romance Writers of America (RWA). She'd penciled in a note, "I don't know much about them." I was busy with typical demands: job, husband, two kids, relocation, new job. Dog, cat, laundry, hamsters. An iguana. And I sort of abandoned the novel when I realized I was going to have to do some actual research. Pirate research, but still. Years passed. I started a different novel (no pirates! ), a contemporary novel (no history! ), but suspected I needed . . . guidance. So I dug out my old notes and looked up RWA and discovered there was a chapter in my city, called Heart of Carolina Romance Writers (HCRW). I decided to attend a meeting. I've never told anyone this, but I sort of expected it would be a handful of women who liked to read novels and got together once a month to talk about maybe writing one, someday. You know, women like me. I had very low expectations. Of them and of myself. I was surprised there were so many people at the meeting, maybe 25 or 30. They were wearing nametags, which I thought was very organized of them. I'm horrible with names, but I read them anyway. One of them said: Sabrina Jeffries. I about passed out from shock. Maybe some of you don't know who Sabrina Jeffries is. And that's okay, because maybe you don't read romance. She's a NYT bestselling author of historical romance and has been, consistently, for years. I'd read all of her books. I was awestruck. Apparently there were a few other first time attendees because, as we sat down in chairs arranged in a big circle, the person in charge suggested we take turns introducing ourselves, telling what we were writing. One after the other, these women (they were all women that day, although there are men in the chapter) told us what subgenre of romance they wrote and, if applicable, for which publisher. Roughly half of them were published and every single one of them was serious about writing as a career. 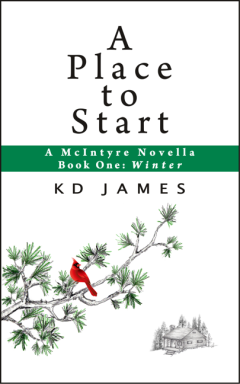 When it was my turn, I stammered something about being so new at it that I had no idea what genre I was writing. They all smiled and someone said, "Don't worry, we'll help you figure it out." Clearly, they didn't realize what a chore that would turn out to be. It's a vast understatement to say my preconceptions about RWA in general, and HCRW in particular, went through a bit of a transformation that day. Attending that meeting changed everything for me as a writer. Everything. Now, I'm a long time reader over here so I know Joe is a proponent of just doing it, of putting your work out there, no hesitation, and taking a chance. And I agree. To a point. Because I'm also a proponent of learning a few basics about how to write before you inflict your stories on others. The writer I was then? Oh dear god. I was so clueless, I knew nothing about plot or story structure or character arcs. Certainly knew nothing about goal, motivation and conflict. I'd never heard those terms used in the context of writing. I didn't even know that a manuscript should be double-spaced. But I learned. I continued to write, thousands and thousands of words in various formats, and I paid attention. I learned about point-of-view and the evils of head hopping from Virginia Kantra. I got tips from Emilie Rose about how to evoke emotion in a scene. I learned more about language and its usage from Sarah Winn than I ever learned in any classroom. I first heard about character charts and enneagrams from Sabrina Jeffries (even though I don't use them), and when I carpooled with her to RWA National in Atlanta several years ago, during the drive I got what amounted to a master class on the ins-and-outs of traditional publishing. I also learned how to kidnap a RITA statuette on that trip, but that's a whole other story. I first learned about blogs from Sonja Foust, who mentioned the Crusie/Mayer "He Wrote, She Wrote" blog, which led to . . . all sorts of nonsense, but also learning. As well as some lasting friendships. When Alex Sokoloff lived here and was a chapter member, she told me about Murderati -- damn, I miss Murderati -- and from there I discovered Konrath's blog. Where I learned even more. In fact, I recently took a fantastic online class from Sarra Cannon (HCRW offers online classes every month, everyone is welcome) and learned things about self-publishing I hadn't even realized I didn't know. And I've done it twice now. No, not that. Geez. Self-published a book. Twice. And then there's Bob Mayer, who was a chapter member when he lived in NC, briefly. But I've been paying attention to his writing and publishing advice for . . . well, seems like forever. I think the most important thing I've learned from Bob is that, no matter what the disaster, whether natural or man-made, I will undoubtedly be the first to die. Preparation is key. I've updated my Will. I could list many more examples, but I promised brevity--- wait, you all didn't actually believe that, did you? Over here? Mostly what I learned is that HCRW is comprised of the most supportive, intelligent, funny, wise and unstintingly generous group of professionals I've ever known. They're remarkably talented teachers, as well as gifted writers. Of course, what I've done with all that knowledge is totally not their fault. But they have influenced, directly or indirectly, every single aspect of my writing career. They taught me that not only was writing something one could do as a career, but that I could do it. So when the chapter asked for contributions to an anthology of writing advice, to be published with all proceeds benefiting the chapter, I didn't hesitate. Okay fine, that's not true. I not only hesitated, I deleted the email. Who am I to give anyone writing advice? But Mari Freeman was in charge and, even though she's one of the nicest people you'll ever meet, that woman is persistent as hell. She said they wanted perspective from writers at all stages of the process. There might have been threats of torture. 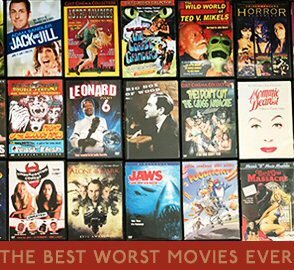 Maybe even actual torture. We might need a clearer definition. So I scrounged up a couple posts from my blog that I thought wouldn't do too much damage if anyone took them seriously and asked whether she wanted to use one of them. She said, "We'll use both. But could you make the second one longer?" Mari has the distinction of being the only person, ever, to ask me to add words. To anything. So, fair warning. I have two pieces of writing "advice" in the anthology. But, you know, that's the great thing about advice--- if it doesn't work for you, you can just ignore it. Perhaps you, too, want to learn something from the writers I mentioned. They're among the many who contributed to this anthology. There are 40 articles altogether, all generously donated, by people who know a lot more about writing and have far more experience than I do. 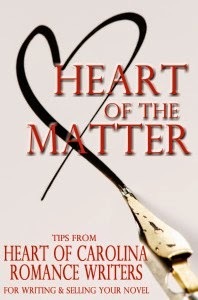 Mari did a great job compiling and organizing and not killing anyone, and the anthology is titled Heart of the Matter. Which, as Barry might attest, is a great title. Ahem. It took me a while to get around to it, but I have now read the entire thing and can recommend it without hesitation. It begins with some pretty basic stuff and gets more advanced as it goes along. Promoting this anthology is a pleasure as there really is sound advice for every stage of a writing career, regardless of publishing preference, whether that career is writing romance or some other genre. I wasn't going to tout my own work, because it just feels weird. Plus, I'm not sure the people who like Joe's books and read this blog are the right audience for a short contemporary trapped-in-a-mountain-cabin-during-a-snowstorm type of romance novella. But then I figured, what the hell, I read this blog and I like that kind of story. By the way, if you haven't donated to Alzheimer's research, contributions of any amount will continue to make a difference until they find a cure. Sadly, for too many people, they haven't. Yet. Please help if you are able to do so. Thanks for sharing your blog-space, Joe. You owe me a fisking.